Yes, apparently she has been engaged for a minute now, and although we do not know much about him we are so happy to see them thriving together. 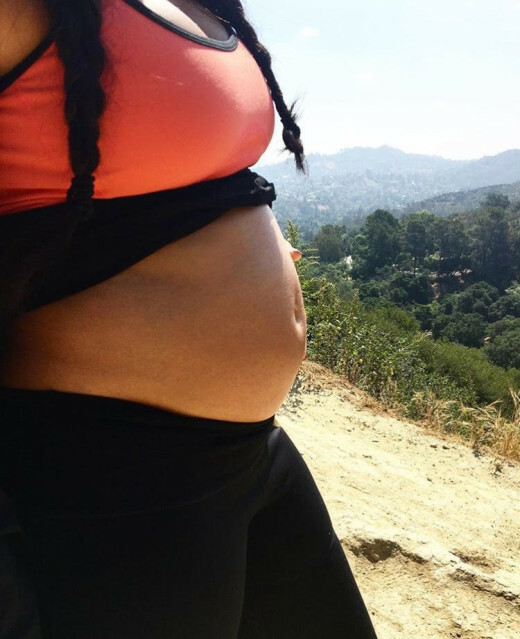 Angela revealed this great news through an Instagram post and was later spotted in Los Angeles, taking a hike and showing off her baby bump with her fiancé. All this great news came shortly after she first announced that she was even engaged when no one knew she was in a relationship to begin with. Angela’s fiancé is Sutton Tennyson, a businessman of Atlanta and according to her captions on instagram this is everything she could have asked for and is happening in the most perfect way! We are so happy for Angela Simmons and her new found family! Janet Jackson Announces She’s Pregnant At 50!